I absolutely love this time of year – family and friends gathering together. Memory making with the children. All of the yummy food and parties! What I don’t love though is any unnecessary stress. I want everything to be simple and stress-free, especially when entertaining, so that I can enjoy my time. From Thanksgiving, to Christmas, to New Years I spend A LOT of time cooking and in the kitchen. I really love to entertain so that means lots of delicious foods to make up. I have learned a lot over the years, though, and have found ways to simplify and entertain without all of the extra stress of running around and trying to get it all together. Planning, of course, is key but I also have a secret weapon in my kitchen – my BLACK+DECKER® slow cooker! I have mastered the art of using the slow cooker for just about everything and this small appliance has become my best friend when entertaining – especially during the Holidays! 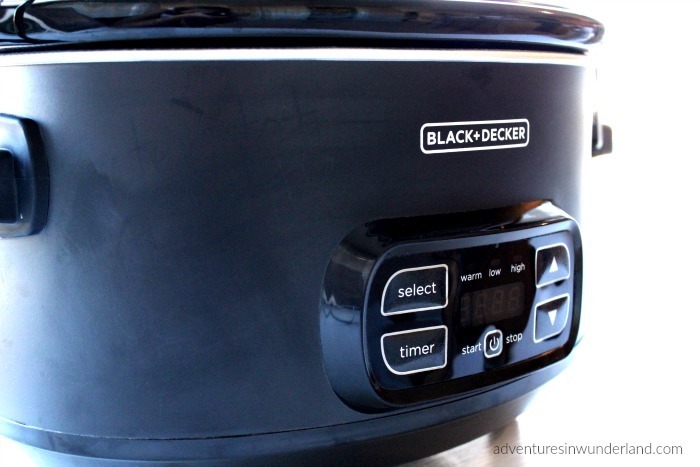 So how exactly, is my BLACK+DECKER® slow cooker my secret weapon? 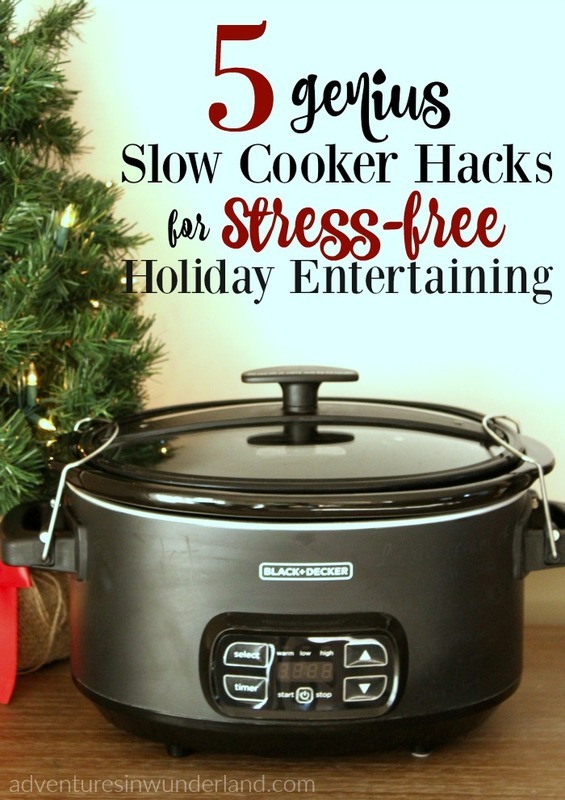 Well I have a few genius slow cooker hacks for stress-free Holiday entertaining that will make your life so much easier! Need to keep beverages hot all night? No problem! Not enough room in your oven to cook everything? No problem! Not sure how you’re going to get everything finished on time for guest to arrive? No problem! These 5 genius slow cooker hacks will be your new secret weapon too. Make up a batch of hot chocolate or warm apple cider and pour it into your slow cooker. Set to warm and decide how long you’d like it to stay on. Set out your mugs and a ladle for guests to serve themselves! Slow cookers are for more than just soups or stews. I cook our favorite side dishes in them to save room in the oven for the main course. Casseroles and Pastas do really well in the slow cooker and when it’s finished cooking, the BLACK+DECKER® programmable slow cooker will automatically switch it over to the warm setting so you don’t have to worry about shutting it off. Simple items like potatoes and squash cook really well in the slow cooker! Toss them in and leave them to cook during the day and whip them up just before dinner. This is great for making mashed potatoes – just mash and return to the slow cooker to keep warm for serving. My favorite breakfast for Christmas morning is a slow cooker breakfast casserole. You can load up the pot the night before and refrigerate. When I get up in the morning, I place the pot back into the slow cooker and leave it to cook while we watch the children open their gifts – something I definitely do not want to miss! A few hours later we have a delicious brunch ready for us. The age old dilemma while cooking for a large gathering is how to make all of the pies and the sides if the bird is taking up the oven all day. Well, instead of cooking the Turkey in the oven – cook it in the slow cooker! Not only is this super easy but your Turkey will turn out SO juicy! check turkey temperature with meat thermometer in the thickest part of the breast, if temperature reached is 165* F or higher your turkey is done. If it does not reach 165* continue to cook for 30 min increments until temperature is reached and turkey is done. 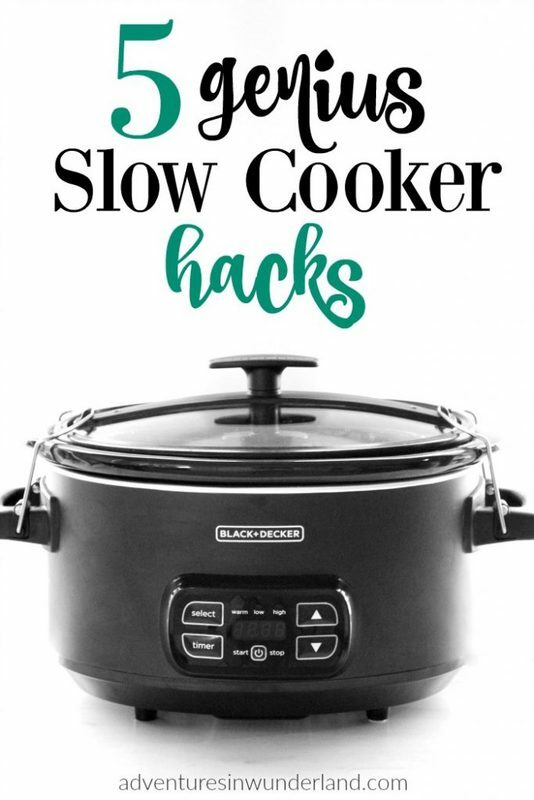 If you are looking for a gift to give to a busy cook in your life, I would definitely suggest a BLACK+DECKER® slow cooker. This one small appliance saves the day time and time again. I use mine ALL the time and I just love the extra features that make a huge difference. There are so many options available when choosing a slow cooker. I personally love the digital program option on this model. It makes it so easy to set and I don’t need to worry about turning it off when it’s finished because it will automatically switch over to the ‘warm’ setting after it’s completed. I love using the warm setting for my dips and beverages, I can put them out for guests and not worry about them needing to be reheated. 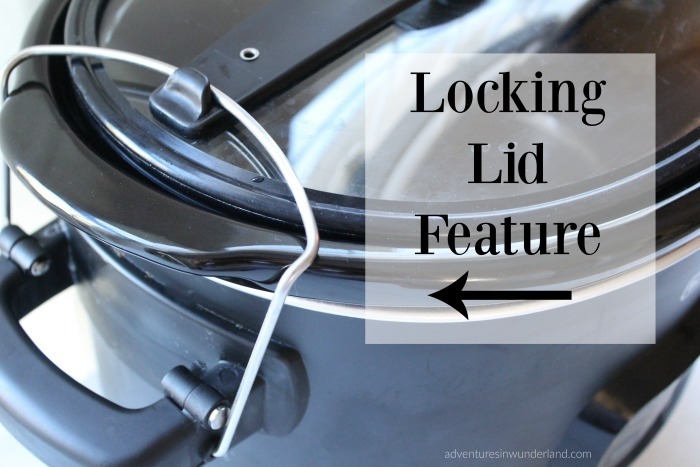 Another feature I look for when choosing a slow cooker is a locking lid. This will make sure all the hot air stays in and keeps spills under control when traveling. It served it’s purpose well when I took my homemade apple cider over to a friends Holiday party! Do you have any slow cooker hacks? I’d love to hear about them! Love these tips! Never thought of putting the turkey in a slow cooker! Great idea. Isn't that cool?! I cook a whole chicken in them all the time for when feading a crowd I figured why not try a turkey too...it turned out great and was so easy! This is great! I really have been thinking of getting a slow cooker but not sure about it. This has been helpful. They really are so useful! I use them ALL the time and actually own 4 of them! This one, with the programmable option is by far my favorite.